Yes, that is my daughter standing there next to Lucy, searching as the latter did for Aslan the lion. For those who haven't read/watched C.S Lewis series, this is from his book, 'The Lion, The Witch and The Wardrobe' which is part of his series of the 'Chronicles of Narnia', a fantasy land which can be accessed by walking through a wardrobe of a Professor's House in Wales! Okay, I just read that last sentence and see that I have explained myself rather badly there! So, let me try again. Located just outside the London Borough of Sutton, this green area is called Banstead Woods or Chipstead downs, depending on which part you enter from. Dating back to 1086, these woods once belonged to the ancient Kings and Queens of England but is now part of Reigate and Banstead Borough Council. It was somewhat of a deer park in medieval times, but today, the wildlife that exists is much smaller- like varieties of birds, butterflies and some woodland flora (sadly, we missed the bluebells which we learnt, carpet the woods in the months of April and May). 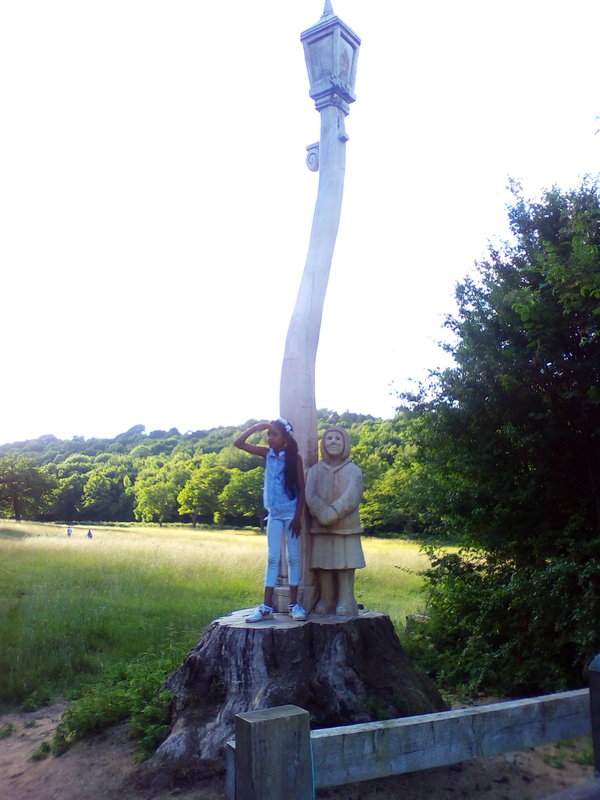 A regular haunt of nature lovers and dog walkers in the area, last month the Council inaugurated the new Narnia trail in a bid to encourage families, especially children to explore and enjoy the great outdoors. The figures have been carved using the site's own existing natural resources. I read that the Council hopes to add more sculptures over the coming months as funding becomes available. Right now, there's already the Lamp Post, Aslan the Lion and the Wardrobe in place. It is completely free and one can either just do the Narnia trail which probably would last around half an hour or the longer circular one, which is roughly 3 miles, taking one from Holly lane carpark, through the kissing gate (yes, that's a new term I learnt and no, its probably not what you think!) and eventually back there again. 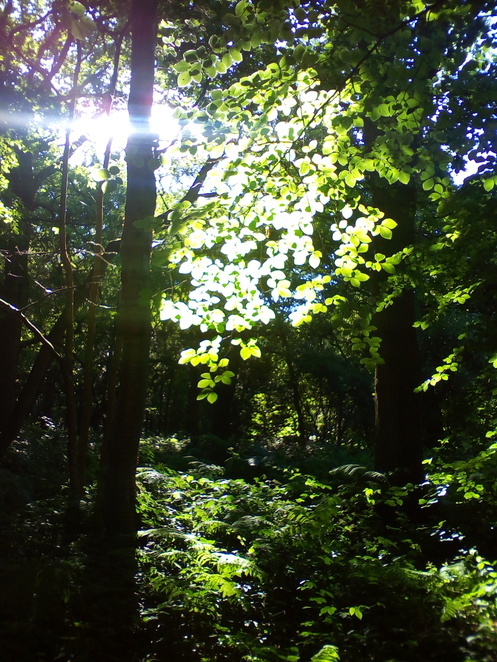 All in all, echoing poet Robert Frost, the woods are indeed lovely, dark and deep and just walking through them at least once over the coming summer with a picnic basket will make for some fun memories indeed. Why? Summer's a good time to explore the outdoors, isn't it? Where: Banstead Woods and Chipstead Downs Local Nature Reserve is located at Holly Lane car park, Holly Lane, Banstead, Surrey CR5 3NR.